Charles H. Rosen received his Bachelor of Arts in European History and Government from Fairleigh Dickinson University in 1968 and went on to receive his Juris Doctorate from St. John’s University School of Law in 1971. He was admitted to the New York State Bar in 1972, and the New York Federal Courts, Southern and Eastern Districts, in 1975. Mr. Rosen was an Assistant District Attorney in Suffolk County until 1978, when he established a private practice in Port Jefferson, NY. He has tried cases in the District Court, Family Court, and County and Supreme Courts in Suffolk and Nassau Counties. He is an active member of the Suffolk County Bar Association. He has co-chaired the Professional Ethics Committee and the Lawyers Committee on Alcohol and Drug Abuse, as well as serving on the Judiciary, Fee Dispute, and Law Committees. 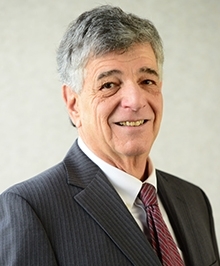 Mr. Rosen served on the Board of Directors of the Suffolk County Bar Association and is a past President of the Suffolk County Criminal Bar Association. Mr. Rosen’s areas of concentration include family and criminal law.